We provide specialized inspection services for oilfield tubular goods and accessories. 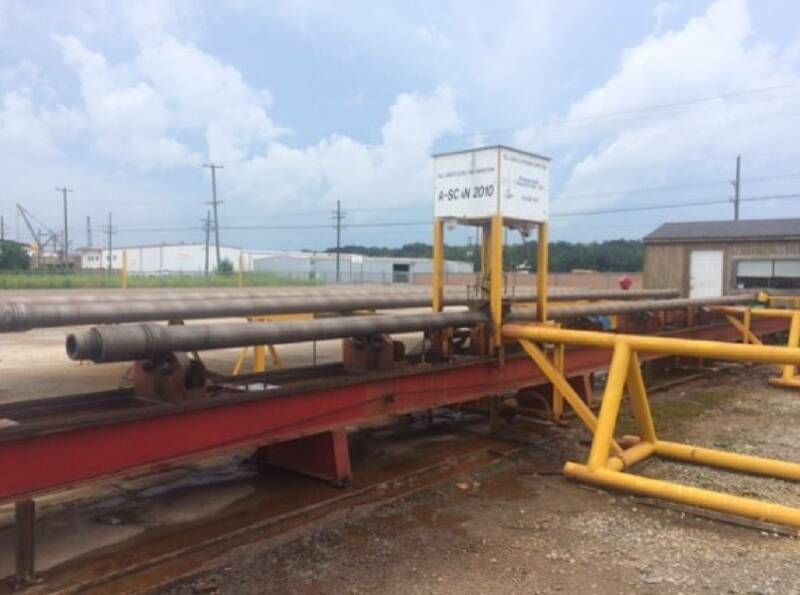 We have been the leader of Drill Pipe Inspections for over 20 years and can offer in-house inspection services at our facility in Morgan City, La. 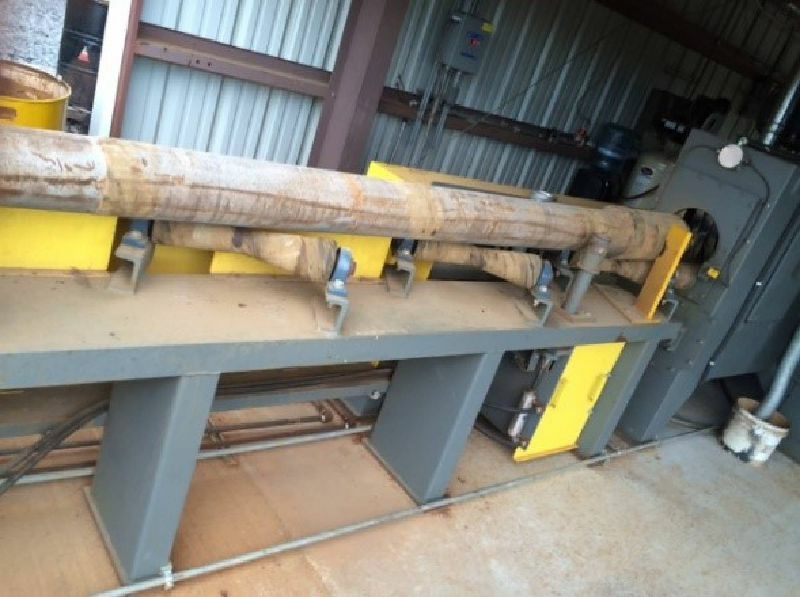 A Customized Pangborn® automated machine is used to remove external rust, heavy scale, coating, etc. 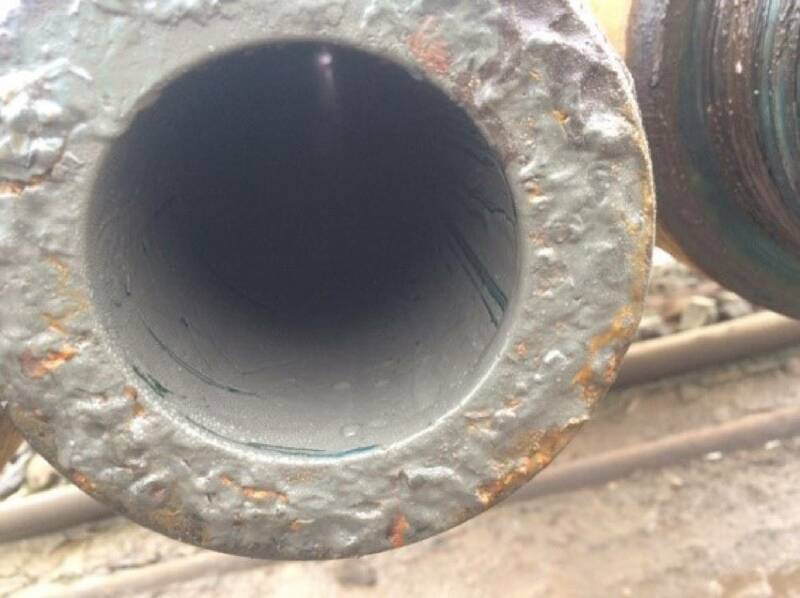 full length, allowing a clean surface so the NDT can be performed. 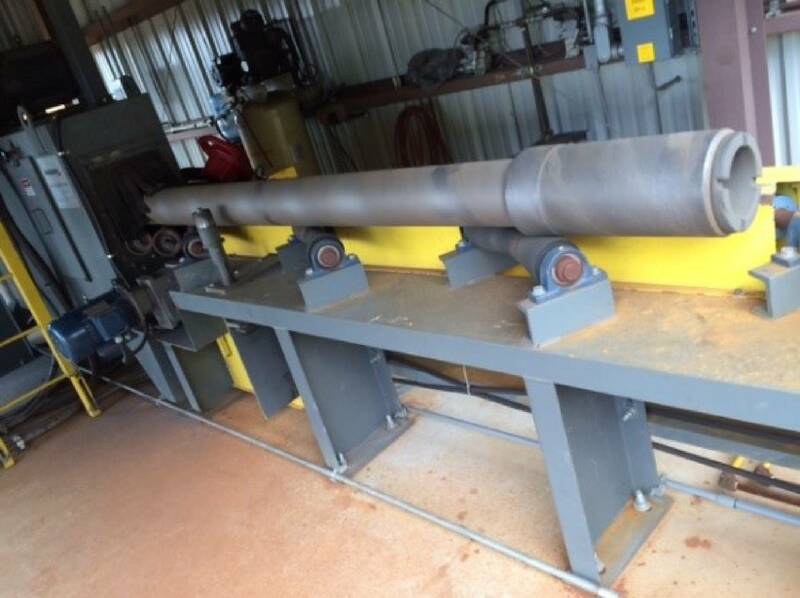 The Pangborn® blast machine was designed to handle Range II and/or Range III drill pipe whether nominal or thick wall. 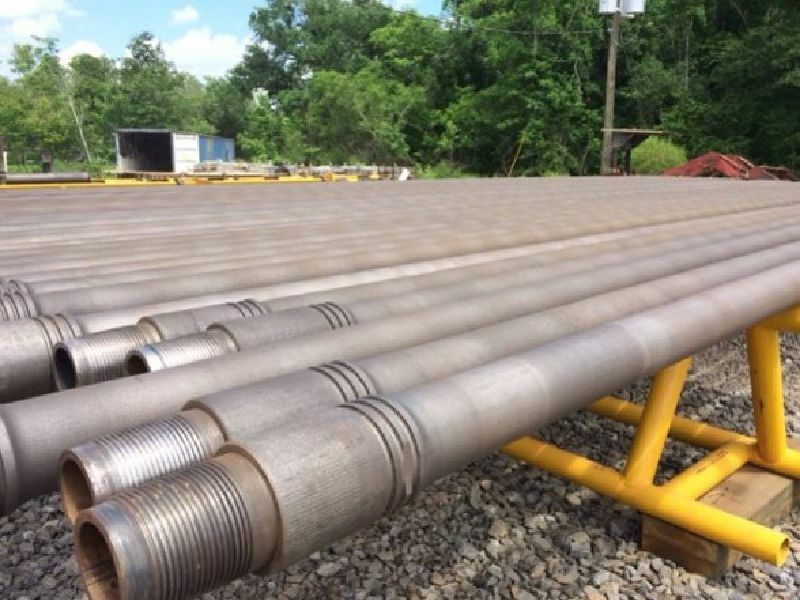 Fitzgerald Inspection, Inc. also has found much success in utilizing the full length blaster as a tool to clean external scale caused from harsh completion fluids prior to application of external coating to mitigate fast acting and aggressive corrosion. 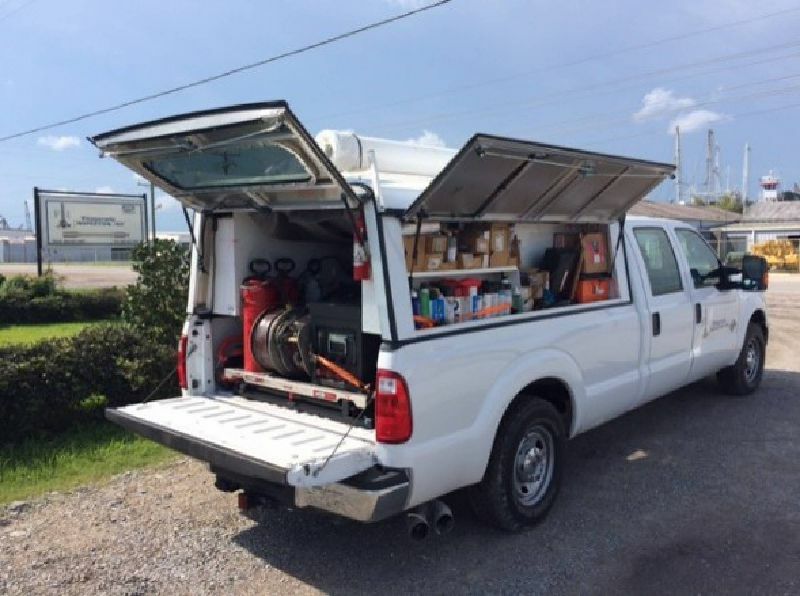 A GIANT® P465 6,000 PSI pump is utilized with a 30° - 60° internal water blasting tip to divert residual and unwanted drill fluids from the I.D. into a contained unit for disposal. All fluids recovered are properly disposed of through Heritage-Crystal Clean® located nation wide. 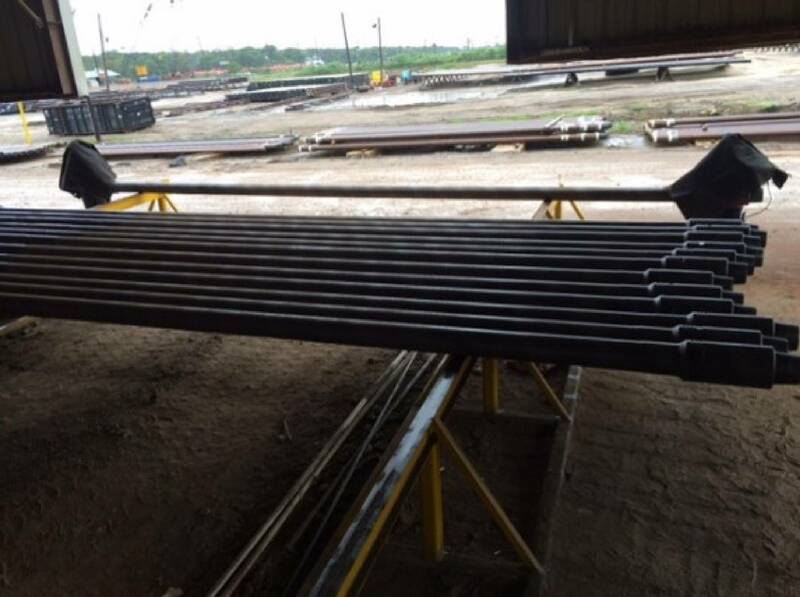 The unit actuates a “Buggy” type inspection head that traverses across the entire length of the tube covering 360° indicating any transverse indication. An indication is found by “flux” leaving a magnetically saturated, or nearly saturated tube as this generates a signal from the search coils (sensors) and acquisitioned into a customized software for evaluation. 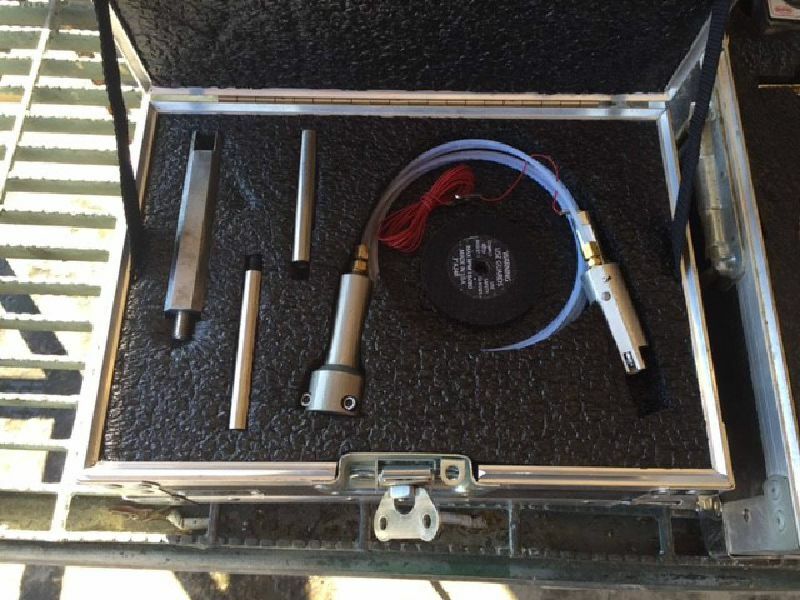 A solid state Hall Effect-element wall monitoring system is also used to measure or monitor any change in ferrous mass (the pipe) in the magnetizing coil such as an abrupt change and/or mash. 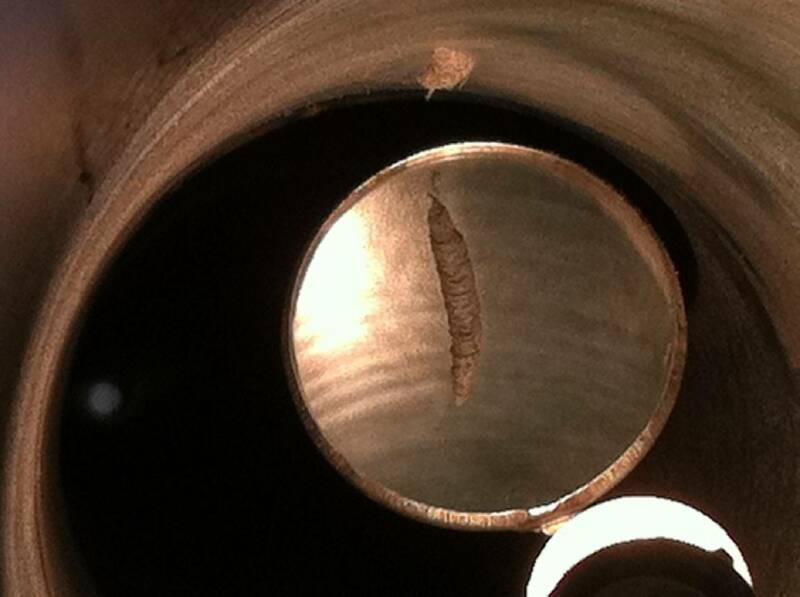 Fitzgerald Inspection, Inc. performs Bi-Directional magnetic particle inspection on all Tubulars. 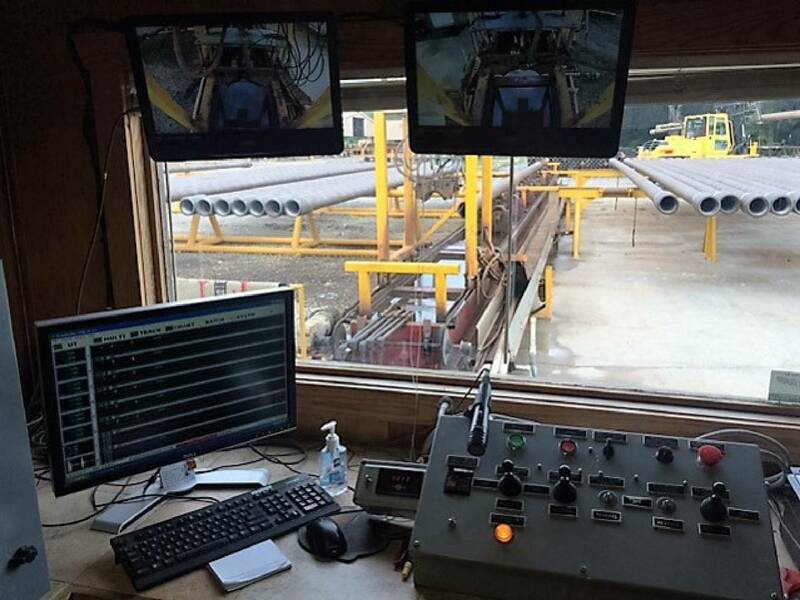 Bi-Directional inspection consist of magnetizing the test object (in this case drill pipe) in two directions 90° apart. 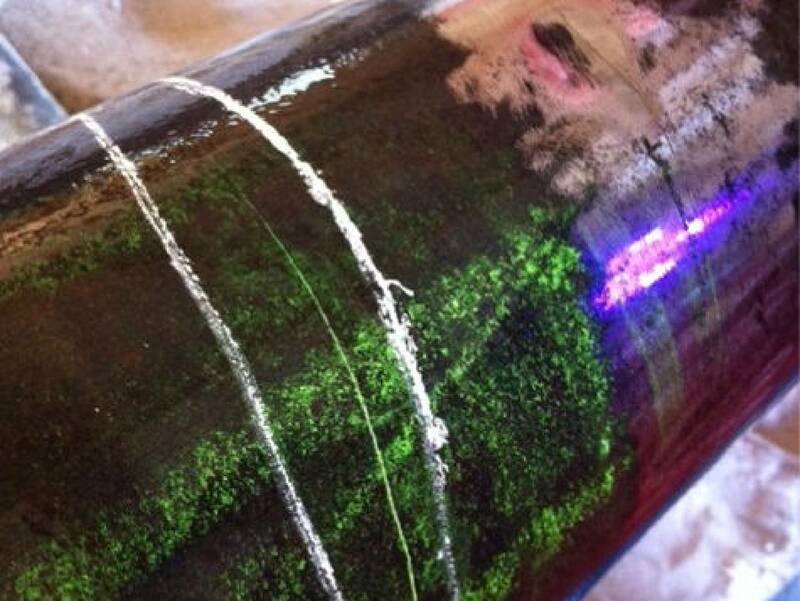 Transverse Flaw: detected utilizing the residual longitudinal magnetic field, induced by a HWDC Coil (rectified AC); Wet florescent particles applied to the O.D. & Dry magnetic particles applied to the I.D. 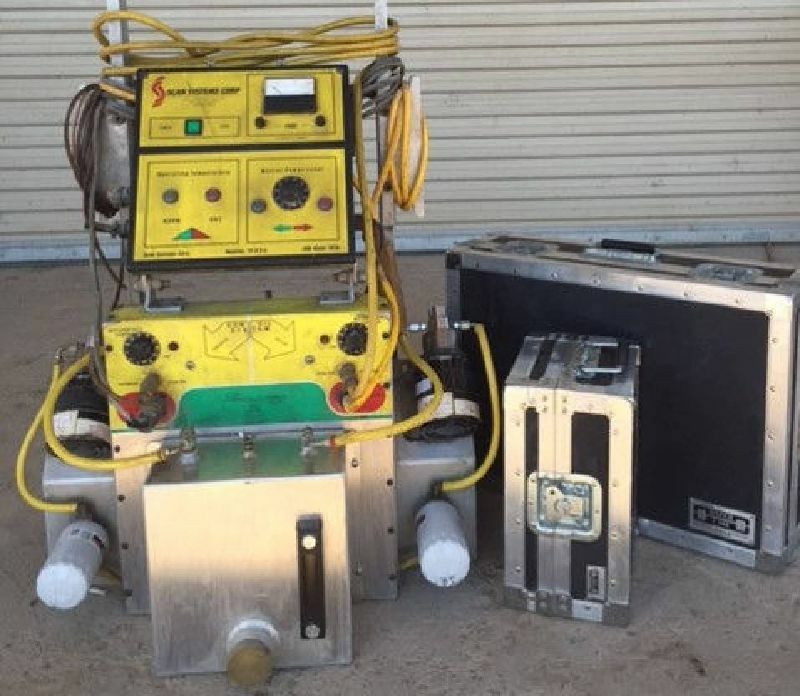 Longitudinal Flaw: detected utilizing the residual circular/transverse magnetic, induced with a Pitco® 10,000A Capacitor discharge unit (CD Box/Shooting Box) & central conductor; Wet florescent particles applied to the O.D. & Dry magnetic particles applied to the I.D. 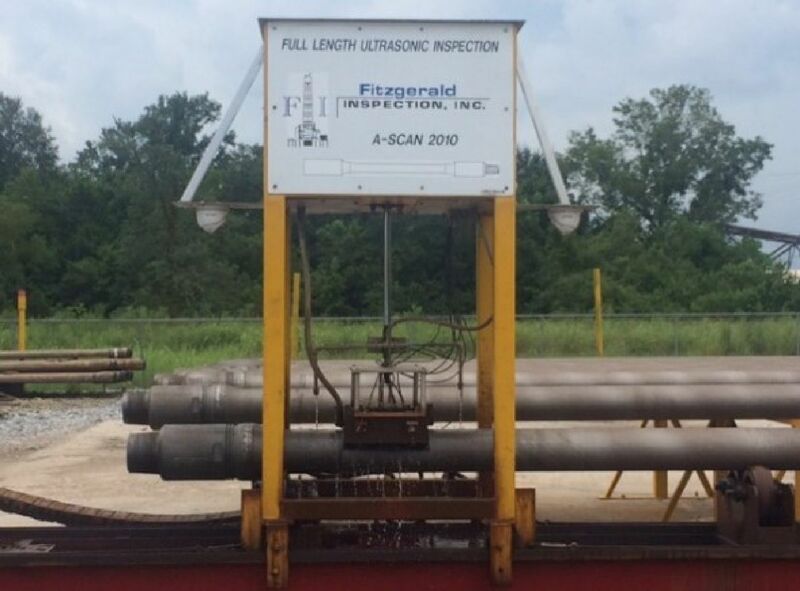 Fitzgerald Inspection, Inc. developed and designed a mechanical unit to handle nominal weight and thick wall Range II or III drill pipe. 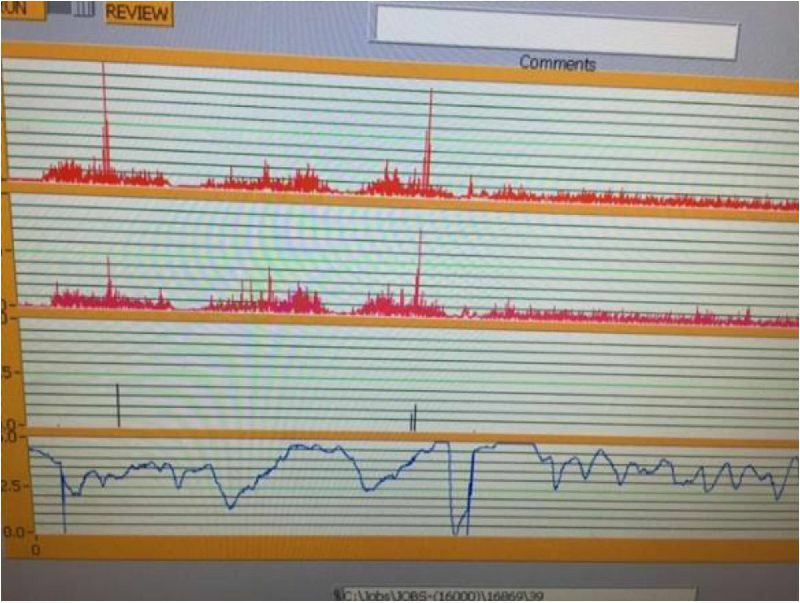 Compounded with a New Tech® systems “Head” and Magnetic Analysis Corporation (MAC System) based out of New York, FII has taken the best of all worlds to provide volumetric Flaw Detection of Transverse, Longitudinal and Full Length Wall Recordings. 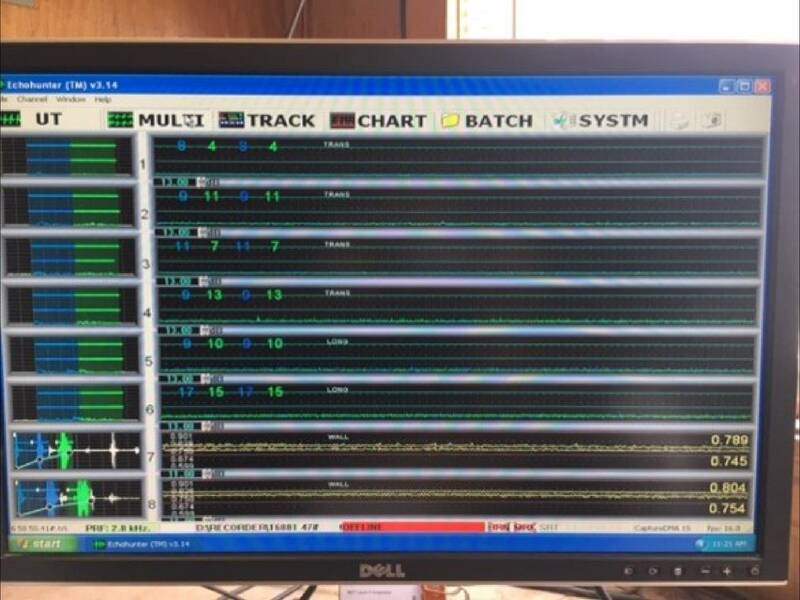 The “Head” is equipped with transducer holders that can be manipulated so the signal response is sharp, and at the peak angle compared to the EDM test notch. 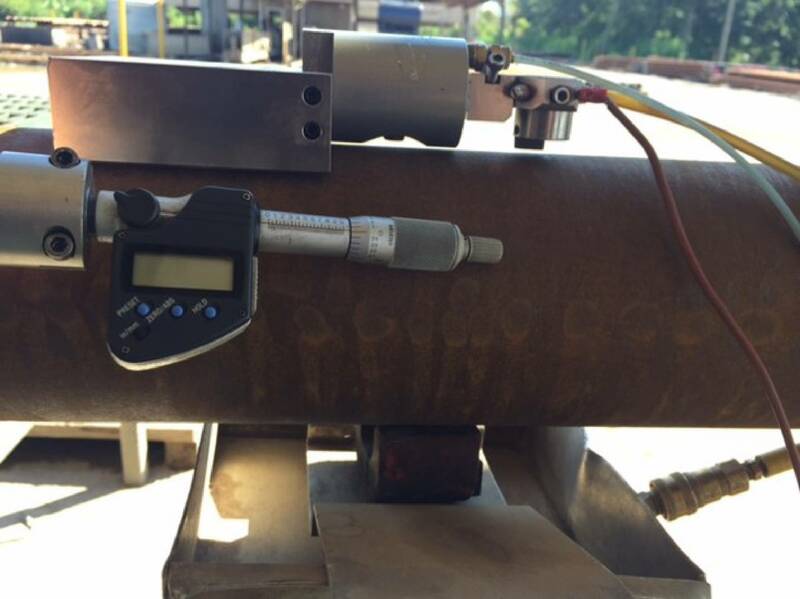 All beam profiles are verified and recorded in our calibration program. The 12” FLUT “Head” allows for close inspection onto the tool joint taper during scanning and can be used in lieu of a traditional hand scan wedge (which has many uncontrolled parameters) . The “Head” is designed to be of the immersion type allowing for minimum interfaces and better sound/signal retrieval, unlike a traditional Lucite head on other machines. 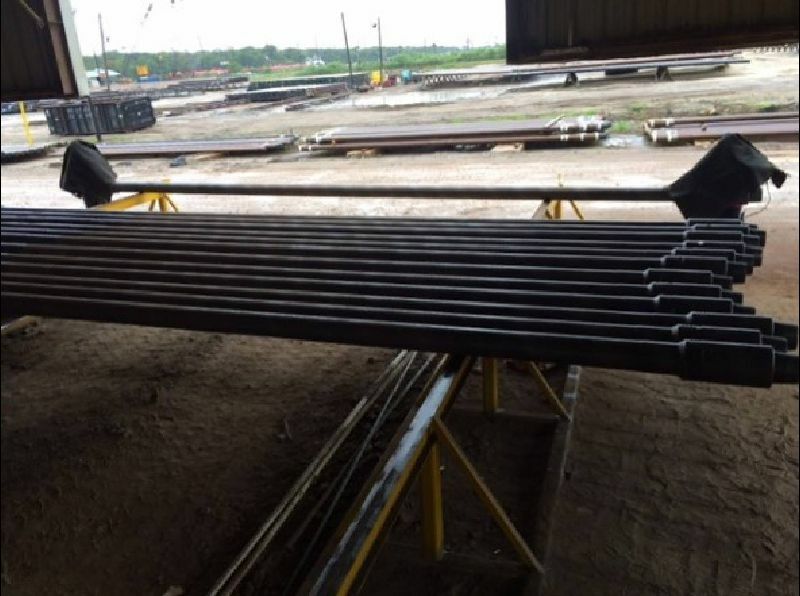 PT is performed mostly offsite by our NDT Level II inspectors on tools such as MWD, LWD, Etc. equipment. 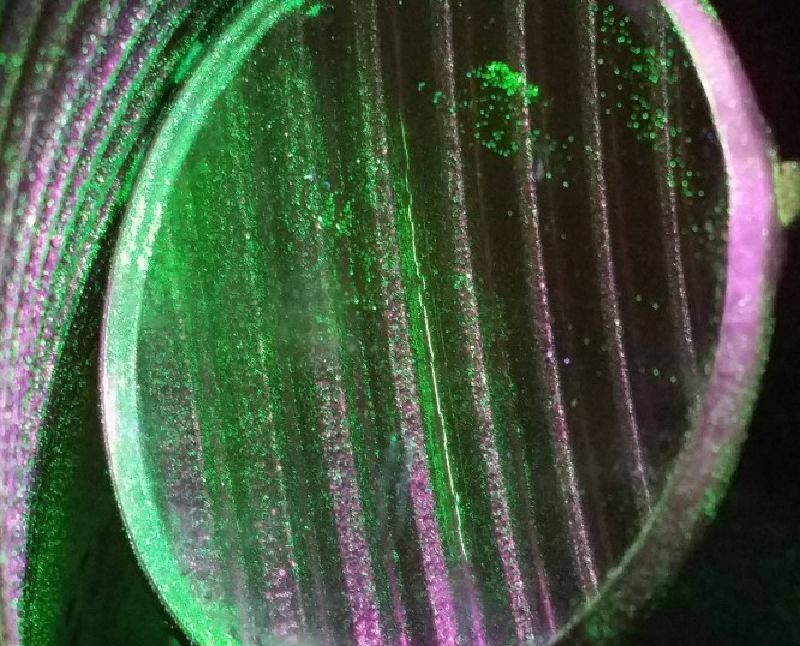 Depending on the application a Type II (Visible Dye), Method A (Water Washable) penetrant and Form D (Non-aqueous) developer system is utilized for better coverage and faster inspection application. The system being used is all from the same manufacturer (such as Sherwin, Etc.) per most standards. 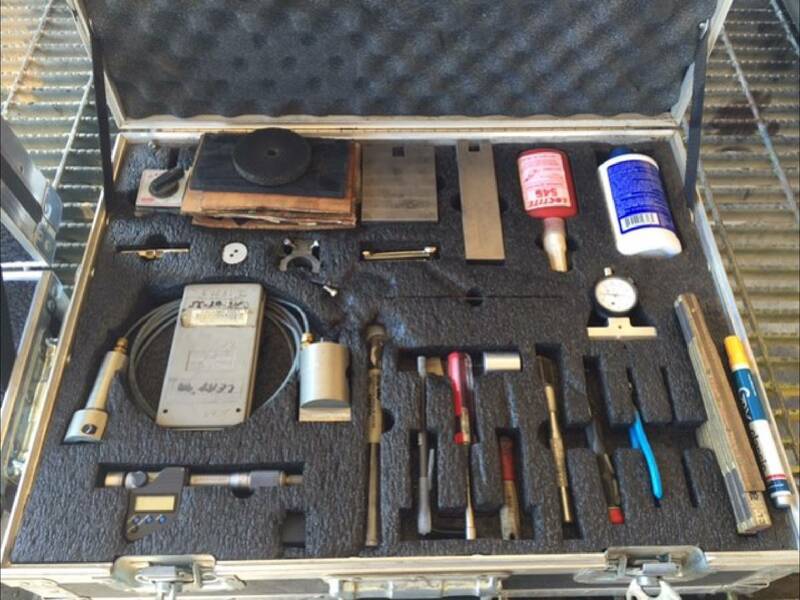 Fitzgerald Inspection, Inc. also has the capability to perform Electrical Discharge Machining (EDM). This is accomplished by a Scan Systems EDM Notch Master® 201M by comprising two major components: a machine tool and power supply. The machine tool holds a shaped electrode which advances into the test piece and produces a shaped cavity. The power supply produces a high frequency series of electrical spark discharges between the electrode and the test piece, which removes metal from the test piece by thermal erosion or vaporization. 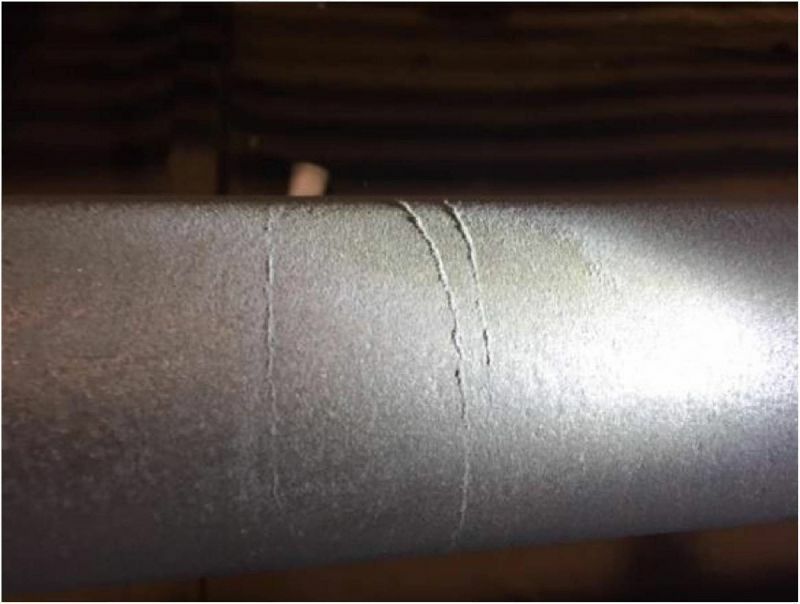 Manufacturing EDM test notches gives FII the advantage of performing ultrasonic testing to various types of materials with different sizes and velocities without waiting for a test piece to be generated. The EDM test notches are verified within 2dbs, cut to a minimum of .010” in width and usually .5” -1.00” in length. FII worked closely with a computer programmer and developed an integral inventory system that can be viewed online with a unique customer password. 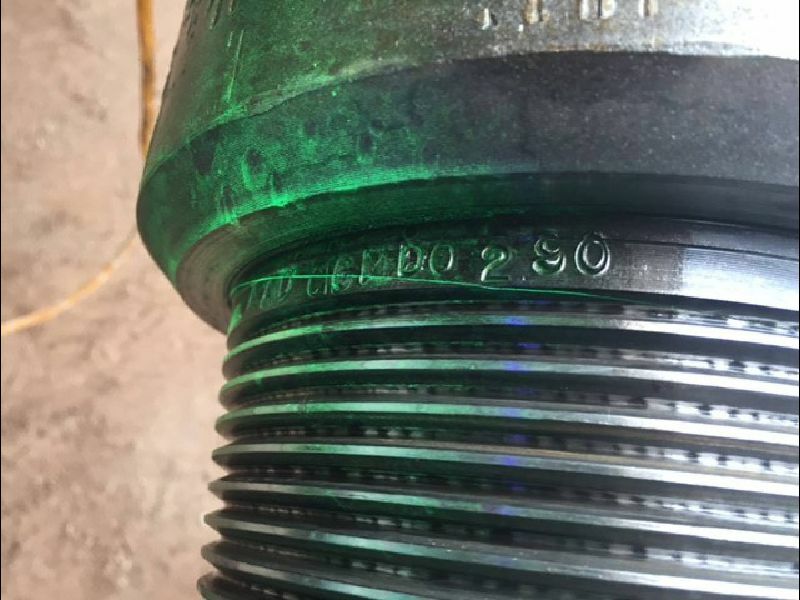 Positive feedback through the years has helped develop and customize the information needed; Personnel on the rig has used this site exclusively to track their tubulars through the inspection process at any given time. 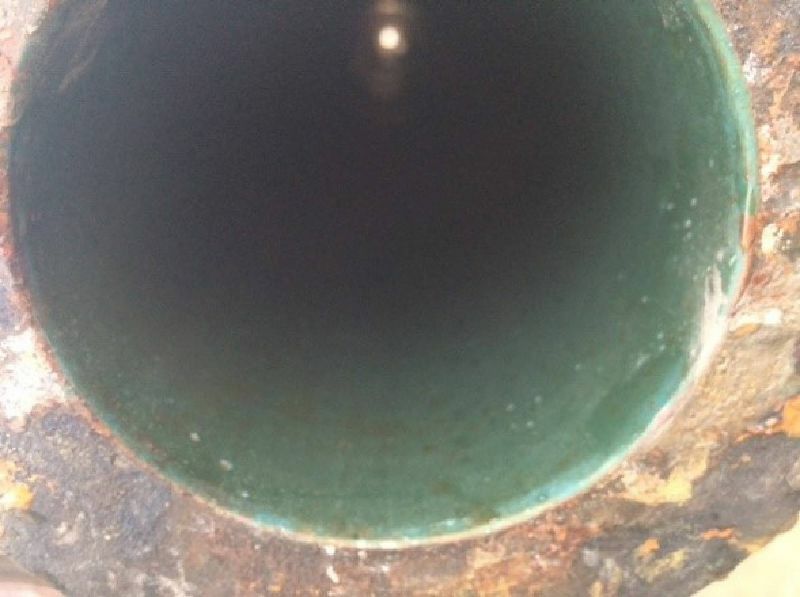 The application of Protekto-Coat® (distributed by Oil Center Research (OCR); a either Black- Glossy or Clear environmentally friendly pipe coating formulated to provide excellent long-term protection while pipe is stored. The coating is applied using conventional pneumatic spray equipment. The protective coating is a result of the latest technology in waterborne coatings in terms of metal protection consequently having excellent impact resistance and high protection against corrosion caused by commonly used completion fluids. 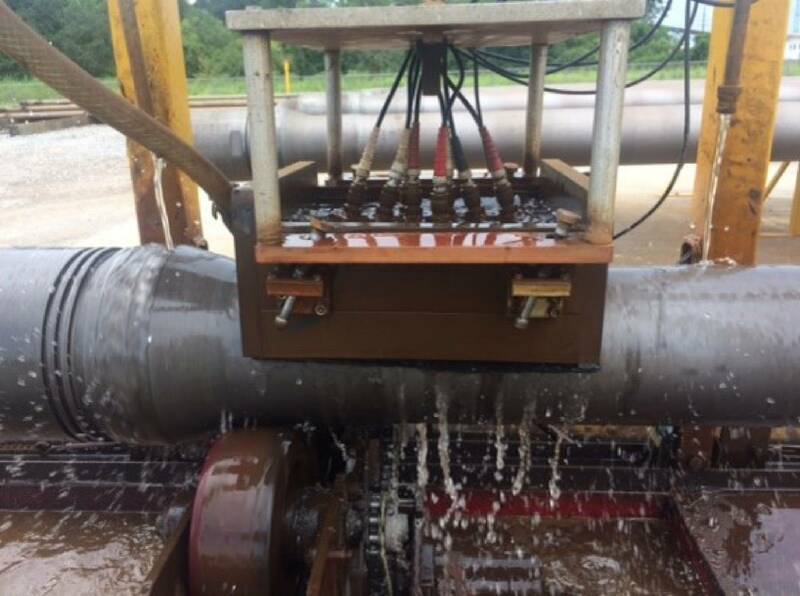 Fitzgerald Inspection, Inc. also has the ability to apply Aqua Cure 690 directly after utilizing our full length blaster as another tool to mitigate corrosion efforts. Aqua Cure is a water-soluble, corrosion inhibitor designed for metal surfaces that have been exposed to salt water and other brines. The clear film of 690 Aqua Cure has fast-acting properties, which severely retard the affects of salt water and other salts such as chlorides and bromides on tubulars. Our campus is located at 9527 Hwy. 182 East Morgan City, Louisiana. 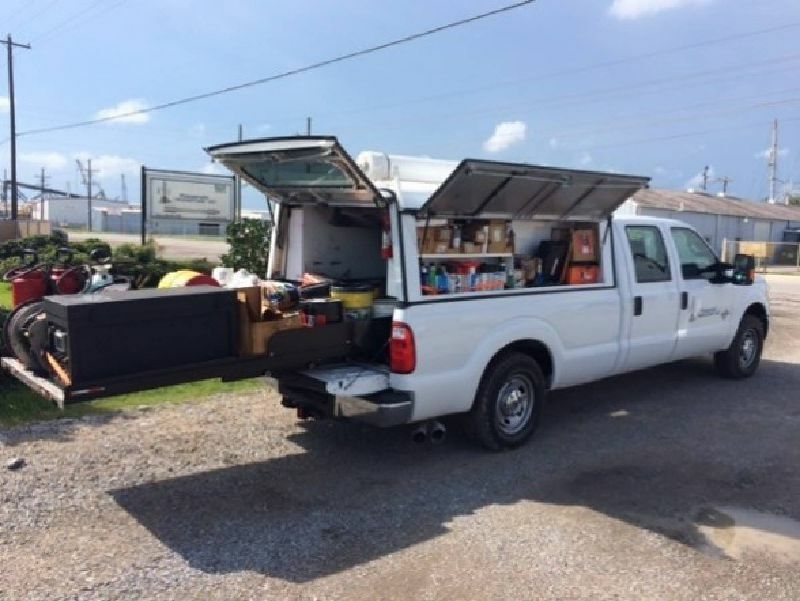 Our facility sits on 13 acres with inspection sheds, office space, and rack room for storage. FII offers free storage of strings being used on and after projects. 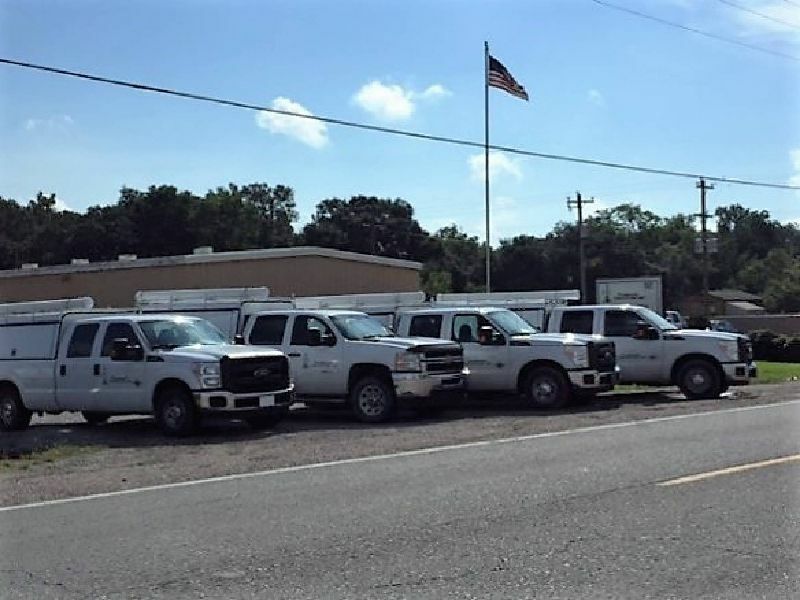 Our facility is approximately 1 mile from NOV Grant Prideco machine shop for all proprietary connection repairs. 1982 – Established as an autonomous department of Benoit Machine. 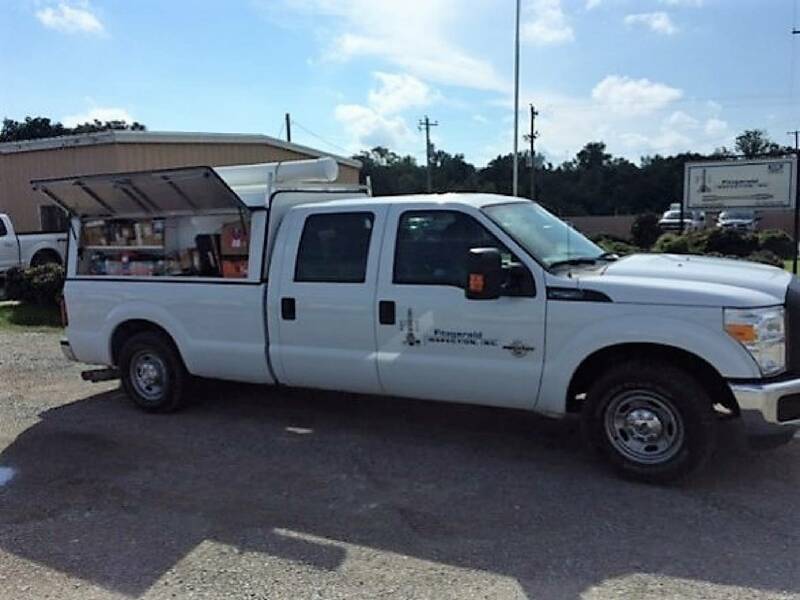 1994 - Inspection department moved to its current Amelia, LA base of operation. 1998 - Separated from Benoit Machine to become Fitzgerald-Benoit Inspection, Inc.
2004- Fitzgerald’s purchased Benoit’s interest to become Fitzgerald Inspection, Inc.
16- NDT Level II Inspectors for high capacity throughput of processing product. 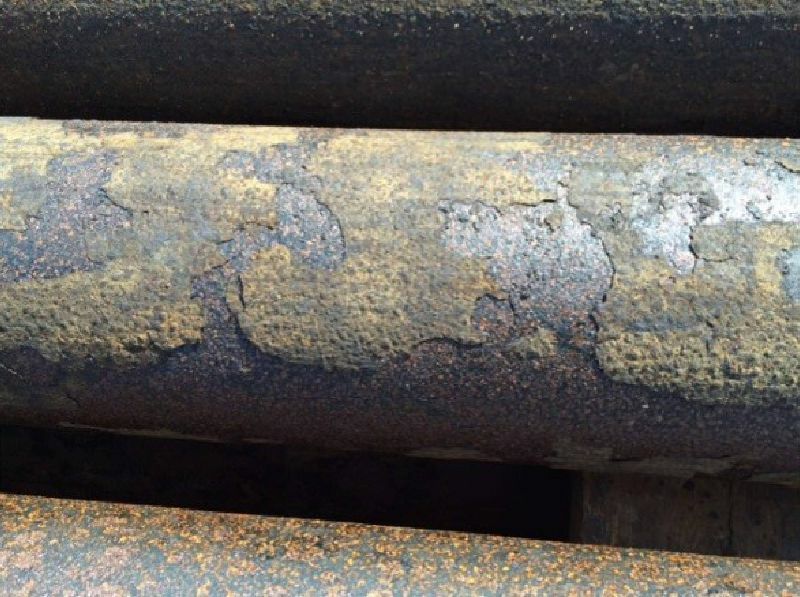 Fitzgerald Inspection, Inc. (FII) recognizes that the effectiveness of non-destructive testing (NDT) depends upon the capabilities of the personnel who are responsible for, and perform NDT. Fitzgerald Inspection, Inc. maintains an in-house ASNT NDT Level III certified in the methods of Magnetic Particle Testing, Liquid Penetrant Testing, Ultrasonic Testing and Visual Testing. The ASNT NDT Level III is responsible for training all NDT Level II inspectors as well as establishing and signing off on all pertinent NDT related procedures and API Q2 Quality Management System.